The Energy Systems course centres on practical, hands-on, modelling exercises. 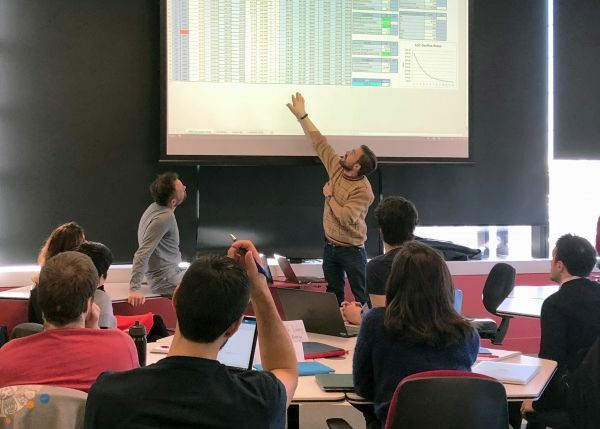 Participants will make and develop their own spreadsheet models throughout the course, and will learn how to answer questions such as: is a proposed wind farm or gas turbine a good investment? What is the probability that it will earn a commercial rate of return? What is the best financing structure for the project? Participation is open to University of Melbourne PhD students and staff of MEInetwork18 partners. Applications have now closed for this course. Dr John Burgess is a Fellow of the Australian Academy of Technological Sciences and Engineering, author of several works on energy investment, and previously a senior executive in the energy industry. The course will run over 10 weekday evenings and during the day on weekends, from 16 July to 29 July, at the University of Melbourne. The small class will consist of approximately half MEInetwork18 industry participants and half graduate students. The assessment for the course will be an assignment on the second case study, completed over the two weeks following the final class.